Potential Pitfalls of an All-Vegan Diet? Like vegetarians, vegans do not eat meat, but they also will not consume anything from an animal, including eggs, dairy, or honey. A vegan diet is also associated with several nutrient deficiencies, such as vitamin B12, vitamin D, iron, calcium, zinc, and omega-3 fatty acids. Anemia, osteoporosis, and mental health disorders may result when vegans do not get proper nutrient support. I understand the downfalls of the lack of animal products. After eating a vegetarian diet for a couple of years, I went back to eating meat for health reasons. I had issues with nutrient absorption and had a vitamin B12 deficiency. I felt it best to incorporate meat back into my lifestyle, and in a few days, I had more energy and I felt great overall. But just because you eat meat, that doesn’t mean you can’t also eat vegan. There is no set meal plan for an omnivorous diet. I may consume plant and animal foods; however, I do not eat meat or animal products in every meal, or every day for that matter. Also, milk and dairy are two of my food sensitivities, so I tend to avoid foods that contain either, much like you would on a vegan diet. In fact, I find that vegan options are a regular part of my omnivorous lifestyle. How do I incorporate vegan meals into my day? My breakfast is typically always vegan, and it is mostly vegetables. My favorite morning smoothie contains kale, spinach, dandelion greens, avocados, ground flaxseed, ghee, and brown rice protein powder. My lunches may be a green salad with chickpeas. A lentil nut loaf is a great main to a nutrient-dense dinner on occasion. But why do I eat vegan meals so often? Here are a few important reasons you can benefit from eating vegan meals during your daily meat-centered routine. I focus on eating healthy meals, and vegan dishes can certainly be a part of that menu. Vegan meals can put an emphasis on nutrient-dense whole foods, such as nuts, seeds, whole grains, legumes, fruits, and vegetables. It is definitely beneficial to adopt a holistic outlook toward vegan meals, which avoid processed foods and ingredients. Some proponents of vegan diets may often rely on heavy amounts of packaged soy and tofu products, which can lead to impaired thyroid function, infertility, digestive issues, malnutrition, and cancer. A holistic mindset also allows you to consider the origins of your meal’s ingredients. It is important to choose local and organic ingredients, which are free of pesticides and other toxic chemicals. The standard American diet contains pretty basic recipes. For example, spaghetti and meatballs is a simple recipe, and it may not require a lot of effort, especially when the ingredients are not made from scratch. But I have discovered tasty ingredients from cooking vegan meals, including tahini, kohlrabi, hemp, chia seeds (Also read : How Chia Seeds can Prevent Heart Disease and Diabetes), and lots of spices, that have allowed me to add some variety to an otherwise basic diet. These ingredients are not restricted to vegan recipes; however, the meals may expand your menu with new whole-food ingredients you may not have experienced. Vegan recipes may require a longer list of ingredients, but you may find they are also quick and easy as well. You can also make batches of vegan meals, and freeze them for your busy week. Certain dishes can also open up your choices for great sides for your organic chicken or wild salmon. In general, a whole food approach to eating can help prevent degenerative diseases, such as macular degeneration, osteoporosis, arthritis, diabetes, cardiovascular disease, and cancer. Plant-based foods are typically high in nutrients, such as monounsaturated fatty acids, polyunsaturated fatty acids, omega-3 fatty acids, fiber, phytochemicals, antioxidants, minerals, vitamins, and plant protein sources. In a recent study published in Permanente Journal, researchers suggested that a plant-based diet shift could offer protective effects against atherosclerotic coronary artery disease. The polyphenols within plant-based diets are known to improve the function of endothelial cells within the body. Try eating two or three vegan meals a week and take note of how you feel. You may find that over time, your skin improves and your body mass index drops to a healthy weight without the complicated—and sometimes bland and limiting—weight-loss diet plans or calorie-counting programs. As a result, eating more vegan meals could have you feeling better overall, with more energy and confidence. Vegan meals also emphasize natural sweeteners, which are not processed, synthetic, or derived from animals. Processed cane sugar may be obtained from animal bones, whereas some natural sweeteners may be beneficial in small amounts, such as yacon syrup, green stevia leaf powder, xylitol, erthritol, and blackstrap molasses. 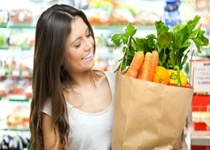 “57 Health Benefits of Going Vegan,” NursingDegree.net; http://www.nursingdegree.net/blog/19/57-health-benefits-of-going-vegan/, last accessed February 4, 2015. Hu, F.B., “Plant-based foods and prevention of cardiovascular disease: an overview,” American Journal of Clinical Nutrition September 2003; 78(3): 544S–551S. “Soy: This “Miracle Health Food” Has Been Linked to Brain Damage and Breast Cancer,” Mercola.com, September 18, 2010; http://articles.mercola.com/sites/articles/archive/2010/09/18/soy-can-damage-your-health.aspx, last accessed February 4, 2015. Tuso, P., et al., “A Plant-Based Diet, Atherogenesis, and Coronary Artery Disease,” Permanente Journal November 24, 2014; doi: 10.7812/TPP/14-036.